The crocus and daffodils are starting to show their heads above ground so its safe to start going out again! Our latest inclusions will take you across the country in a culinary whirl of excellence. Popular with City workers, and now a destination restaurant, Chamberlain’s rapidly gained critical acclaim for Roux Scholar executive chef Andrew Jones’s fabulous food. 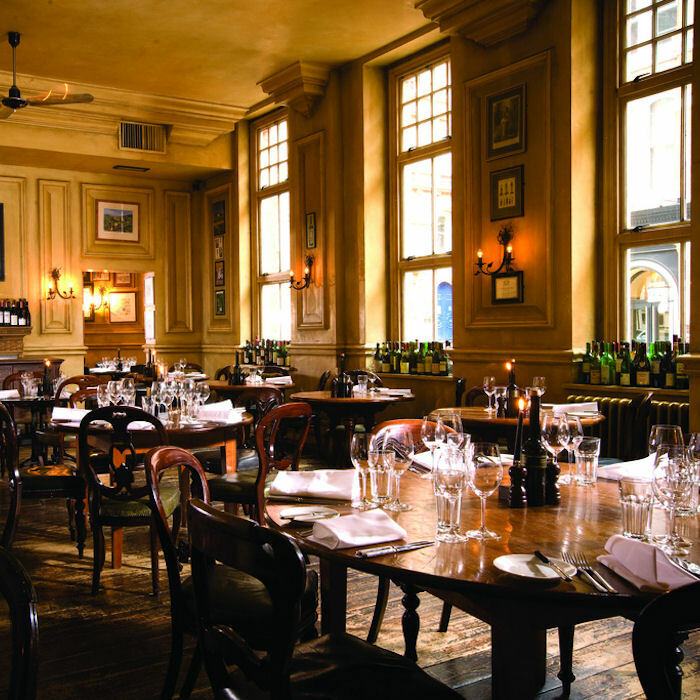 Owned by top Billingsgate wholesaler Chamberlain & Thelwell, it has access to the very best seafood, but also offers superb meat and vegetarian menus too. Everything, including the salmon smoking, is prepared in house. 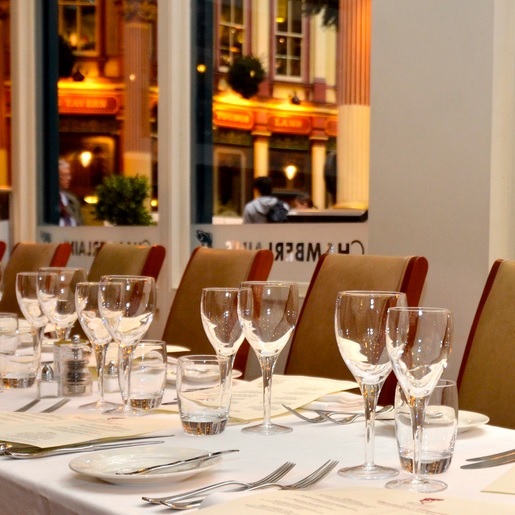 Located over three floors in historic, magnificent Leadenhall Market, the restaurant comprises a terrace for al fresco dining, the ground floor (great for watching the hustle & bustle of Leadenhall Market), plus an intimate mezzanine. The first floor restaurant / Private dining room offers an elegant dining experience in a romantic environment. The basement, with vaulted ceilings and original brickwork from the 1800’s, is perfect for a more relaxed and informal meal. CLUB OFFER: Members and their guests receive a complimentary glass of house Champagne when having lunch or dinner Sunday to Friday. For more details click here. Built originally for the Duke of Buckingham but alas who never managed to live in it due to his distant cousin, Henry VIII deciding to behead him on believed grounds of treason – this grand castle dates back over 500 years. 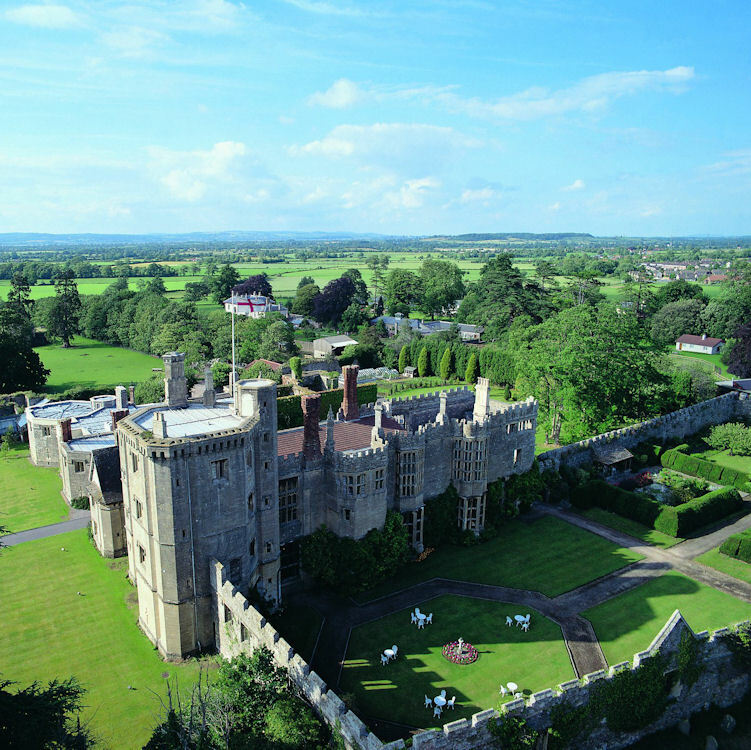 Now carrying Grade I status, the Tudor Castle is a luxury hotel and a fabulous dining location serving British cuisine with invention and heritage. CLUB OFFER: Members receive a complimentary bottle of house wine when enjoying a 3-course lunch in a party of 4 when having lunch Monday to Thursday. For more details click here. With its timeless Regency architecture and unmatched location in the heart of London’s West End, Le Meridien Piccadilly is recognised as the landmark hotel in Piccadilly Circus. 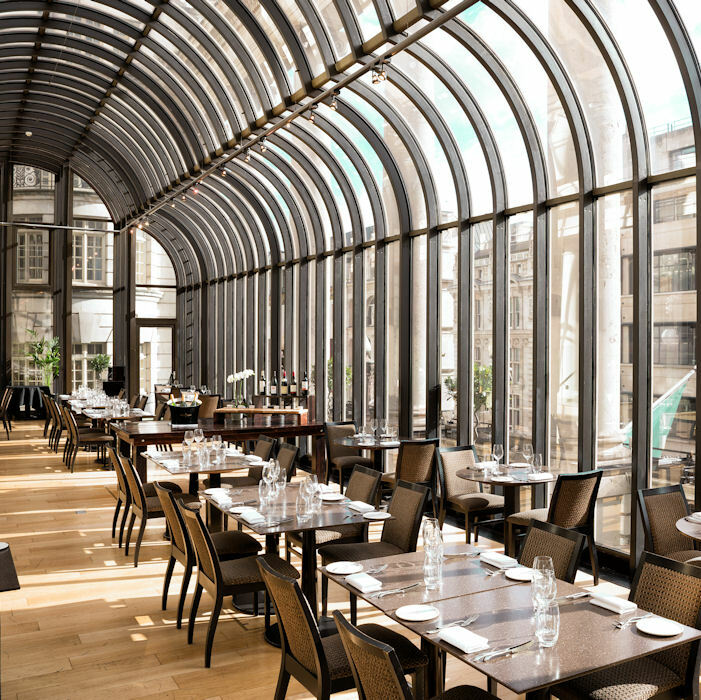 Flooded with natural daylight due to its large glass roof, The Terrace Grill & Bar, overlooking Piccadilly, is a unique venue in the heart of the hustle and bustle of London’s West End. A modern interpretation of the classic British grill, Terrace Grill & Bar offers a large selection of mouth-watering meat grills and fish dishes that are sourced locally in the UK. CLUB OFFER: Members receive a 20% reduction from the total food bill when dining from the a la carte menu for lunch and dinner Monday to Thursday. For more details click here. Once an eye hospital, this landmark Victorian building built in 1884, makes an eye-wateringly grand setting for one of the finest hotels in Birmingham. 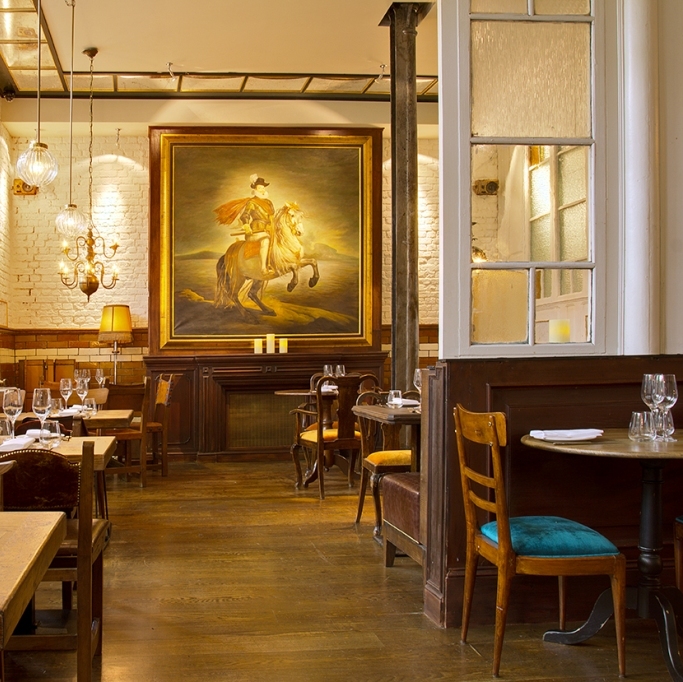 Bistro du Vin is at the heart of the hotel. It is an elegant and relaxed, informal setting where guests may enjoy breakfast, brunch, lunch or dinner and serves French home-style cooking with robust earthy dishes and slow-cooked foods. CLUB OFFER: Member exclusively dines complimentary when dining with one or more guests on days shown. Lunch Monday to Thursday from 12noon – 2pm and early dinner from 5.30pm – 7pm Monday to Saturday or dinner 6pm – 9pm Sunday. For more details click here. The charm of this exuberant Spanish eaterie lies not just in the sumptuous food, mouth-watering heaven though it is. It’s not just in the eccentric design, though one wall is gloriously dominated by a huge, camp reproduction of Velázquez’s Felipe III. And it’s not just those palate-tingling cocktails and gin-tonics, though they are a sheer splash of life on a hot day. No, it’s not even the amazing staff who make the very air crackle with fun and charm. The allure of this restaurant lies in its sum, not its parts: layer upon layer of authentic excellence and quirky charm. CLUB OFFER: Members and their guests receive a complimentary glass of Cava when having lunch or dinner Monday to Wednesday . Members must quote ‘Design Restaurants’ when booking. For more details click here. Not a member? Start enjoying great savings today by downloading our digital membership for just £30! Join here.